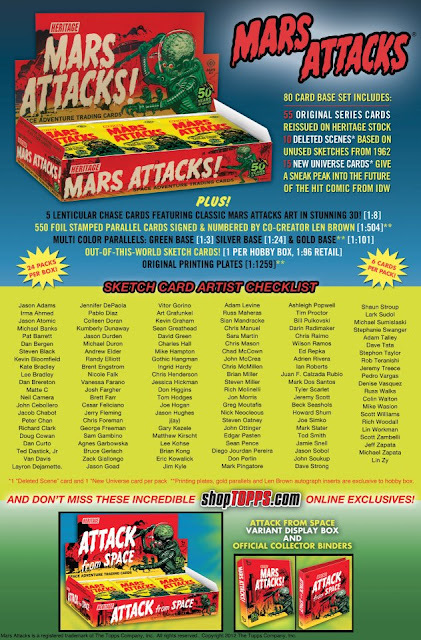 There are no relics in Mars Attacks Heritage but each hobby box gets a 1/1 sketch card and the slim [1:504 packs] chance at an autograph. Here's the sketch card that I received. Not too shabby and I like that my card is set on Mars with what I assume is Earth in the sky. Here's the back of the card which includes the artist's signature. 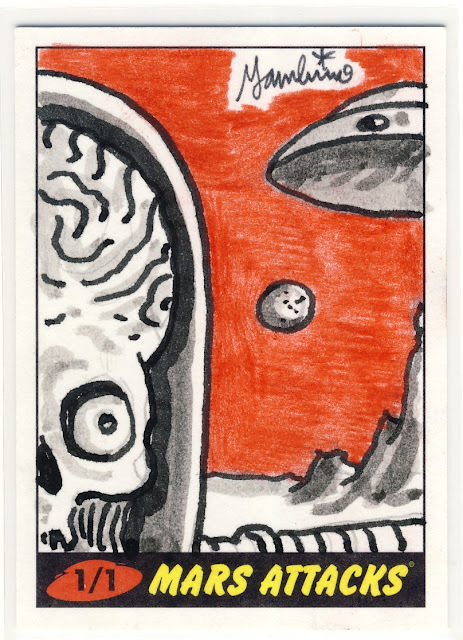 My sketch card was created by artist Sam Gambino. I tracked that down from the artist list that Topps posted on the Mars Attacks Facebook page a few weeks ago. 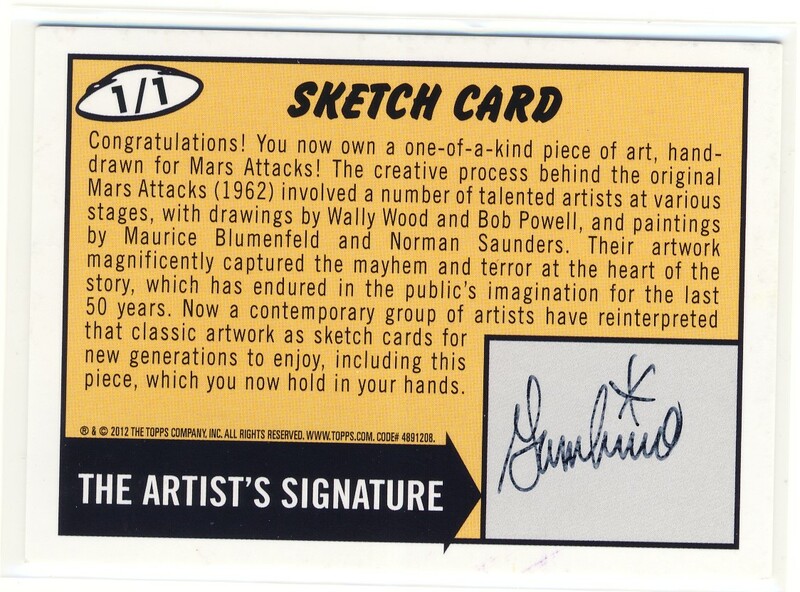 You can find more of his art here and I think I'm going to contact him about his Mars Attacks experience.